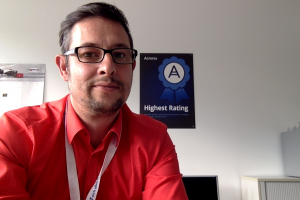 Acronis Sales Professional – Become a Certified Expert! Only with extensive knowledge and expertise can you overcome the challenges in the IT industry and be a trusted advisor for your customers. 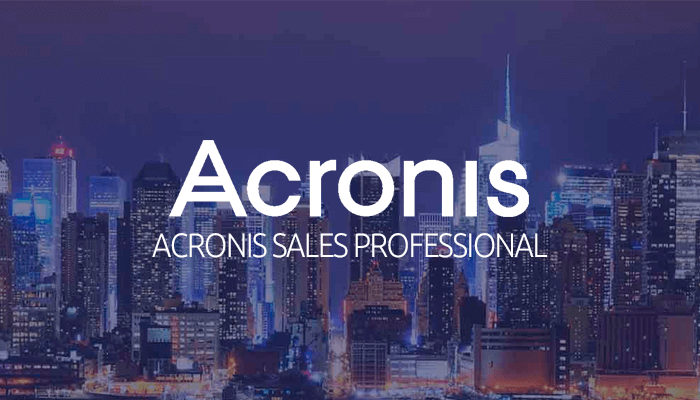 Following the webinar, you have the opportunity to take a short Acronis Sales Professional exam to gain the status of ”Acronis Sales Professional”. The exam contains 20 questions in English and you are free to take the test at any time within one week after the webinar. Once you have passed the exam, Acronis will confirm your status as an Acronis Sales Professional and issue you a certificate including logo, which you can use on your company website. Important! You must have access to the Acronis Partner Portal to participate. All partners who wish to participate in the seminars need a valid access to the Acronis Partner Portal. With over 20 years’ experience in the IT industry Markus has worked all levels within the channel focussing on backup, virtualisation (server & storage), networking and cloud services. Markus is passionate about new technologies and delivering straightforward strategies. He is our knowledgeable ‘go-to-guy’!